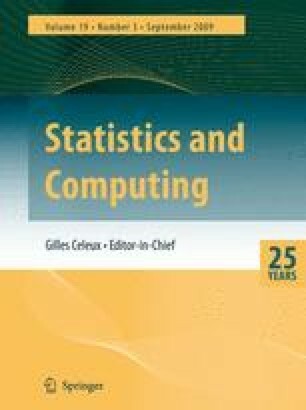 This paper shows how procedures for computing moments and cumulants may themselves be computed from a few elementary identities. Many parameters, such as variance, may be expressed or approximated as linear combinations of products of expectations. The estimates of such parameters may be expressed as the same linear combinations of products of averages. The moments and cumulants of such estimates may be computed in a straightforward way if the terms of the estimates, moments and cumulants are represented as lists and the expectation operation defined as a transformation of lists. Vector space considerations lead to a unique representation of terms and hence to a simplification of results. Basic identities relating variables and their expectations induce transformations of lists, which transformations may be computed from the identities. In this way procedures for complex calculations are computed from basic identities. The procedures permit the calculation of results which would otherwise involve complementary set partitions, k-statistics, and pattern functions. The examples include the calculation of unbiased estimates of cumulants, of cumulants of these, and of moments of bootstrap estimates.